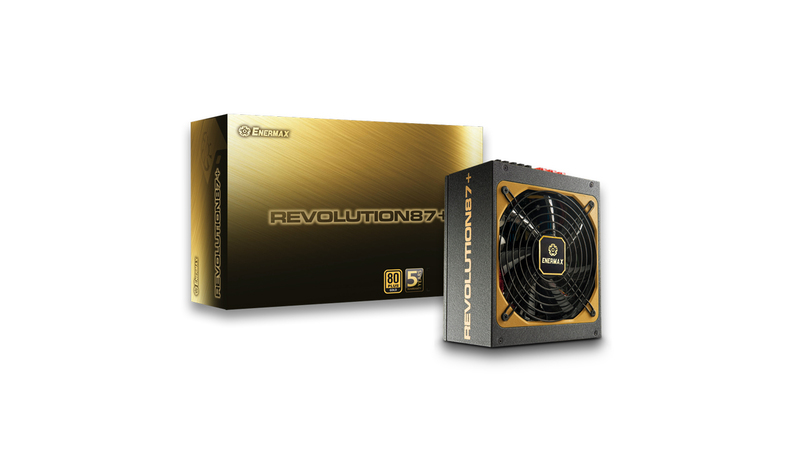 The REVOLUTION87+ power supply series achieves a peak efficiency of 92% and is 80 PLUS® Gold certified. 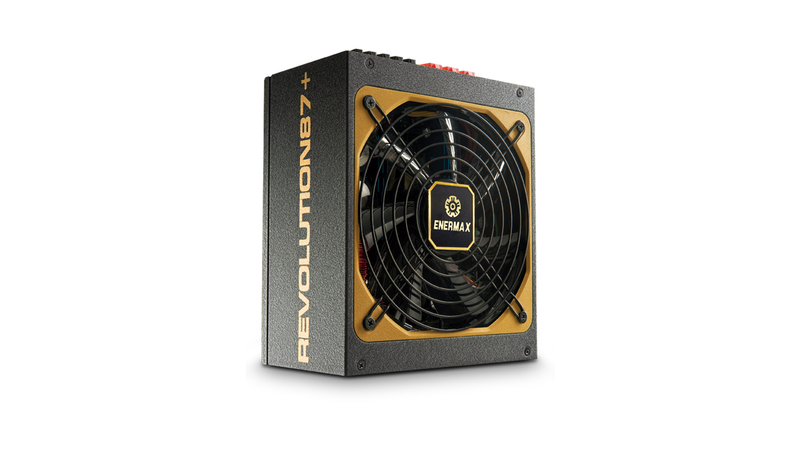 Based on an advanced DC-to-DC circuit the power supply is capable of delivering a perfect voltage regulation and very stable power output.This makes REVOLUTION87+ perfects for high-performance gaming systems. The integrated 13.9cm fan with Twister bearing ensures an efficient cooling and a silent operation. Up to 92% efficiency at 230VAC between 20 and 100% load. 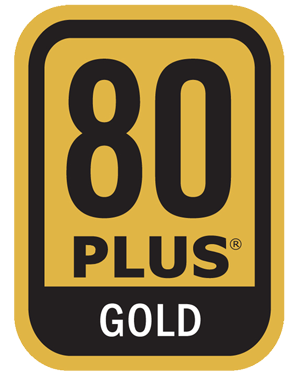 The REVOLUTION87+ series is 80PLUS® Gold certified. 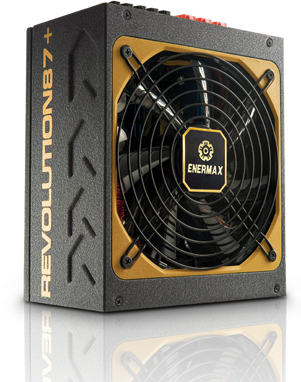 REVOLUTION87+ helps systems to meet the EU eco-design directive 2013 ErP Lot 6 and 2014 ErP Lot 3 (< 0.5W in standby mode*) due to a high-efficient 5V standby (+5Vsb) circuitry. 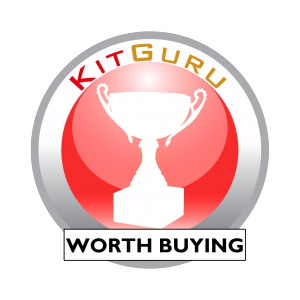 Moreover it supports the EU regulation no. 617/2013 demanding amongst others 85% efficiency at 50% load and 82% at 20% and 100% load. The dynamic hybrid transformer topology allows an optimized use of the transformer with less energy loss for a better overall efficiency. 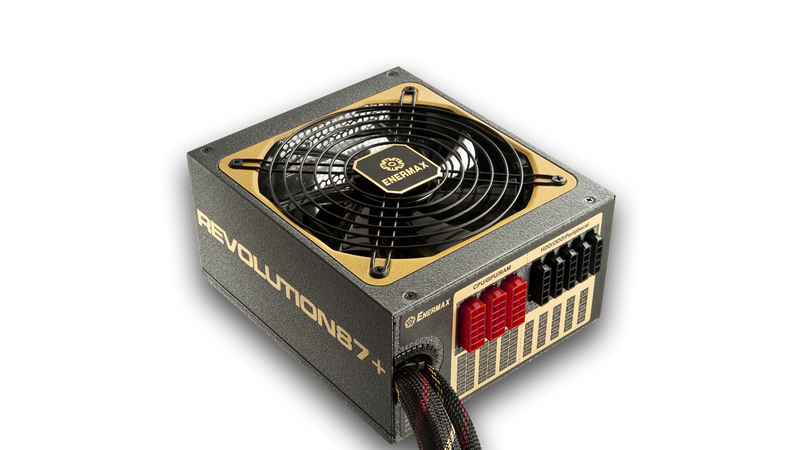 Six 6+2P (8P) PCI-E connectors to power multiple high-end graphics cards. 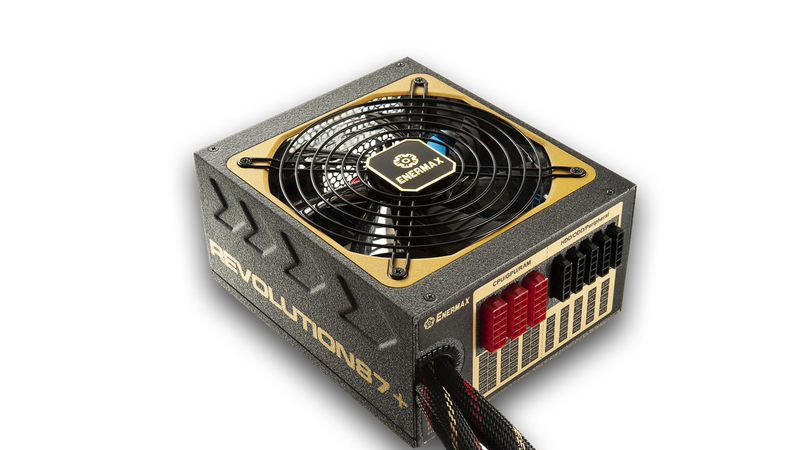 Fit4Server: Compliant with SSI PSDG for the new Intel® Core™ Extreme/i7, Xeon™ and AMD® Opteron™ and downward compatible with EPS12V v2.92, v2.8. 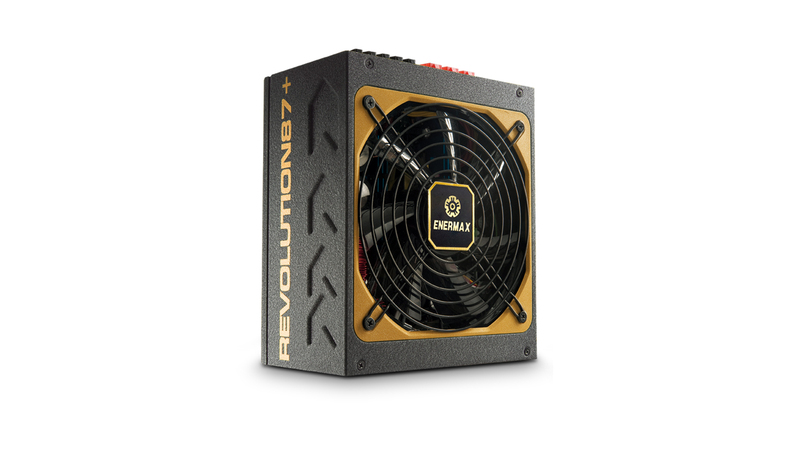 Enermax SafeGuard, the multiple protection circuit that keeps the power supply and the system safe from damage by short circuit (SCP), over voltage (OVP), under voltage (UVP), over current (OCP), over temperature (OTP), over power (OPP) as well as surges and inrush current (SIP).